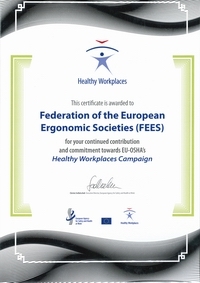 The yearly Healthy Workplaces campaigns are organized by the European Agency for Safety and Health at Work (EU-OSHA), which is now also the partner of the FEES. 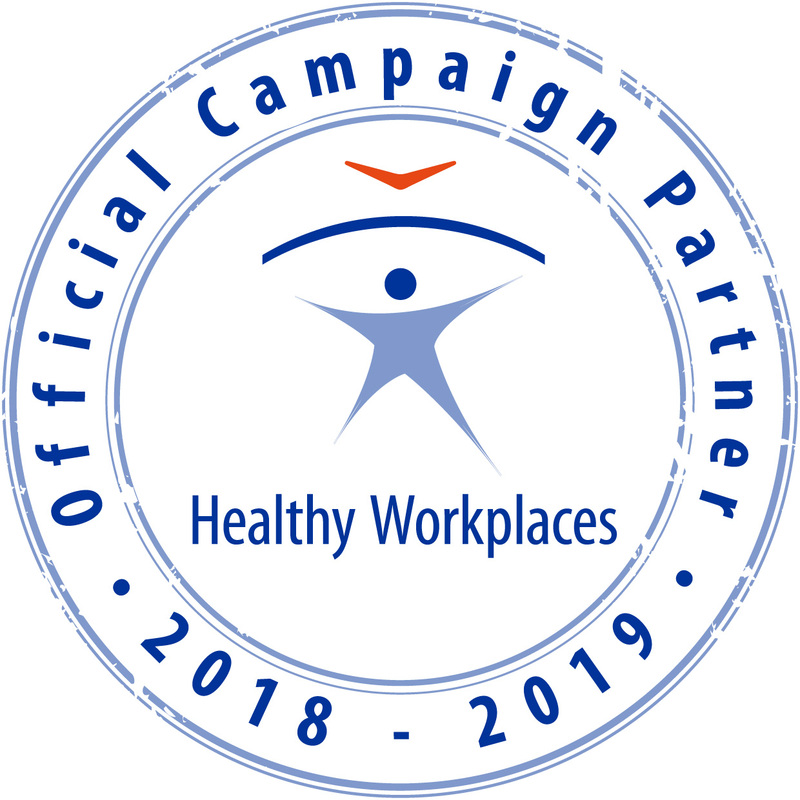 The EU-OSHA -campaign "Healthy Workplaces - MANAGE DANGEROUS SUBSTANCES 2018-19", is raising awareness of risks originated by dangerous substances and hazardous materials in the workplace and encouraging employers, managers and workers and their representatives to work together to manage those risks. For more information, see www.healthy-workplaces.eu. Ergonomics play a clear role in this activity: ergonomics aims at prevention by its nature, ergonomists have experience in organizing participatory workplace interventions, ergonomists have developed strategies and practices to improve design activity in companies, and, after all, a great deal of the risks associated with safety and health can be derived from poor ergonomics design. FEES maintain campaign partner position, and promote ergonomics through the campaign website and to the partners directly. FEES selects one of the conferences dedicated to the campaign by Federated societies as European Champaign conference. Encourages all federated society to become an active member of the national EU OSHA focal point network. Encourages all federated society to include the campaign message in their news letter when is appropriate. Encourages all federated society to share their campaign materials with others through FEES website. In the European Month of ergonomics 2018-2019 FEES highlights the role of ergonomics in managing dangerous substances.